Hôtel des Arts Saigon, MGallery - Happy New Brunch! Hôtel des Arts Saigon, MGallery - Luxury hotel - Happy New Brunch! Whoever said breakfast was the most important meal of the day clearly had no idea what they were talking about. Everyone knows that brunch is far superior to breakfast, or lunch or dinner, especially during the holiday. Not convinced? Think about it, you wake up on a morning craving a feast. And it just happens to be the New Year’s Day. Dinner party is hours away, but you already feel the need for celebration rumbling in you. If brunch isn’t a good idea then we don’t know what is. Come and enjoy holiday brunch day with us here in Hôtel Des Arts. Satisfy your inner foodie by indulging in the most refined culinary plates in Saigon. Either you are a seafood fan or a meat lover, our Social Club Restaurant will sure leave you in awe with sumptuous delights such as Hokkaido scallop ceviche with truffles, lobsters, foie gras, and grilled Black Angus beef… To make your brunch truly magical, top it off with the hotel’s artisan-crafted desserts. There is always room for desserts after all. For a luxurious touch, a free flow of champagne and other tempting beverages are served. On holiday, brunch doesn’t discriminate. Brunch welcomes everyone from three-generational families, travel companions, to couples and friends. 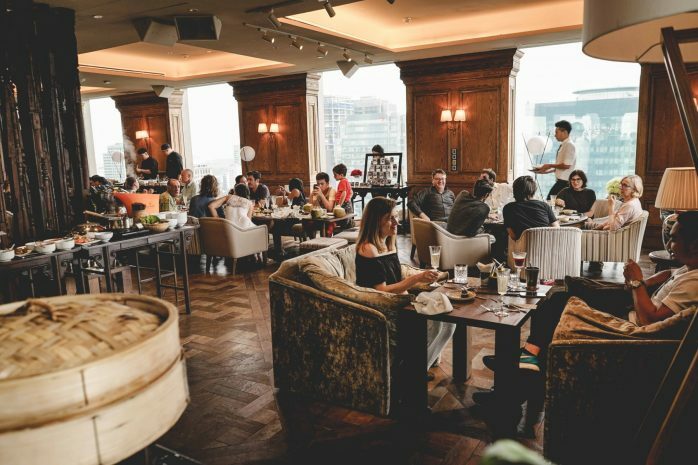 The Social Club’s lively yet cosy get-together vibe is a celebration of exceptional food, champagne and intimate stories like what happened the previous night, whose New Year’s party hangover is worst, and who is coming over tonight. Apparently, there is no need for us to inspire your love for brunch. So READY, SET, BRUNCH! Please call us at +84 28 3989 8888 or e-mail h9231-fb6@accor.com for reservations.